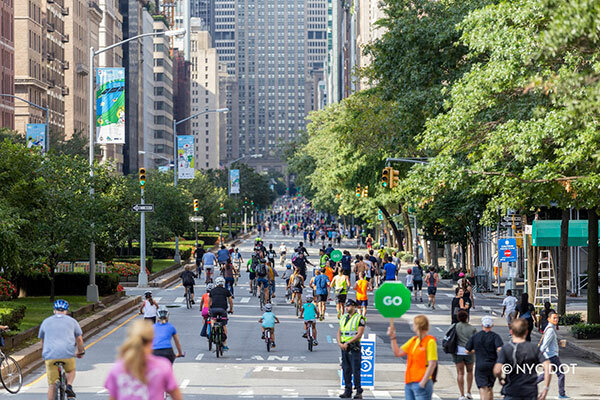 On the first three Saturdays in August between the hours of 7 am and 1 pm, nearly seven miles of New York City’s streets are open to the public to play, run, walk and bike. Summer Streets is an annual celebration of New York City's most valuable public space—our streets. Summer Streets provides space for healthy recreation and encourages New Yorkers to use more sustainable forms of transportation. In 2018, nearly 300,000 people took advantage of the open streets. Call for Sponsors Now Open! Contact the Summer Streets team for sponsorship opportunities.